Page 3 of 4 - Photos from the 2010 Christmas Letter! This page shows ONLY photos which are included in the Annual Christmas Letter for 2010. 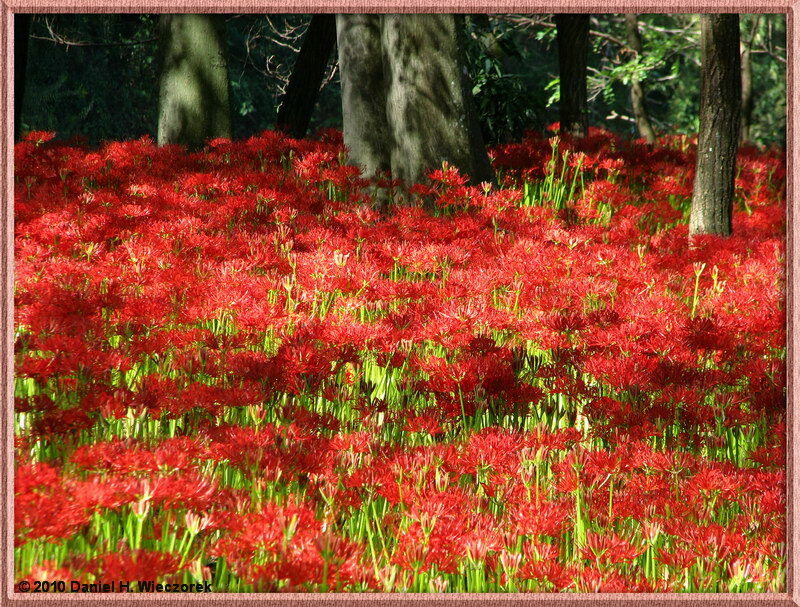 On this page are the photos from August, September and October - Christmas Letter pages 17 - 26 inclusive. 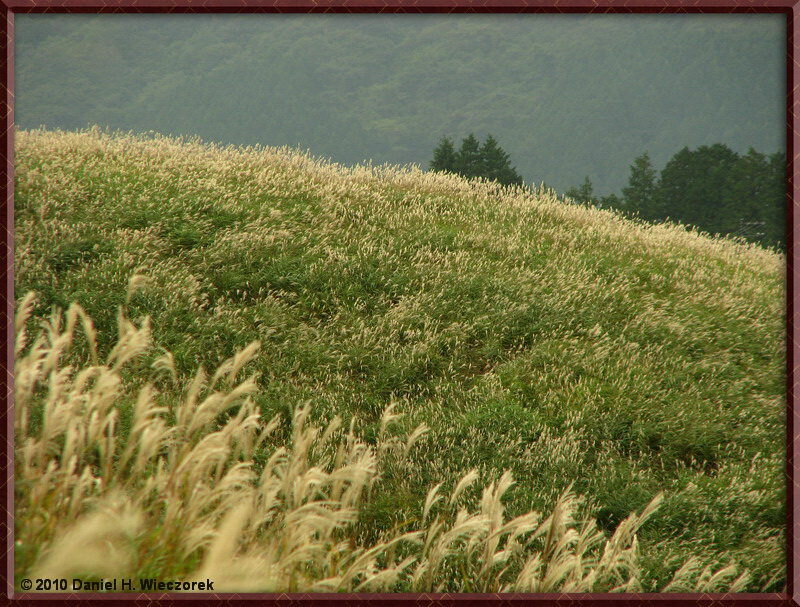 Page 17 of Christmas Letter - Daisetsuzan National Park, Hokkaido. 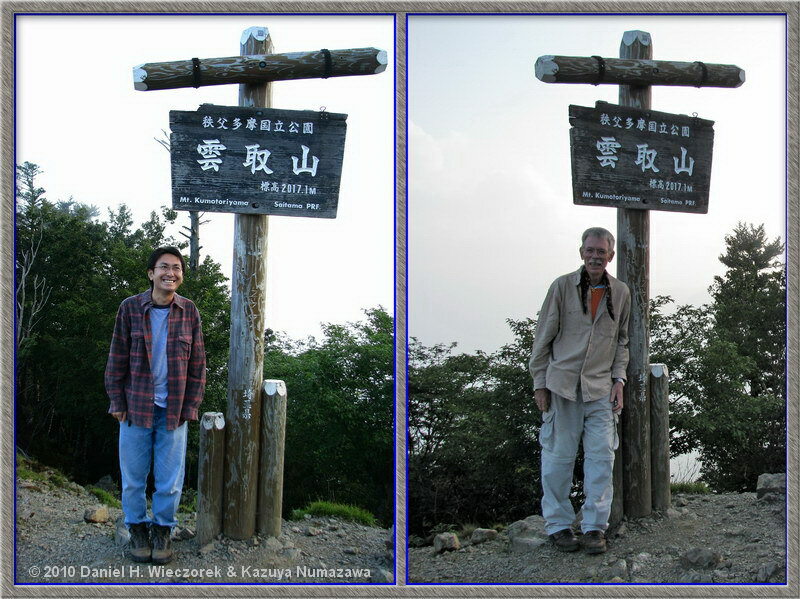 First Photo - Daniel & Kazuya at the Summit of Mt. Kuro (Kurodake). Second Photo - the Mt. 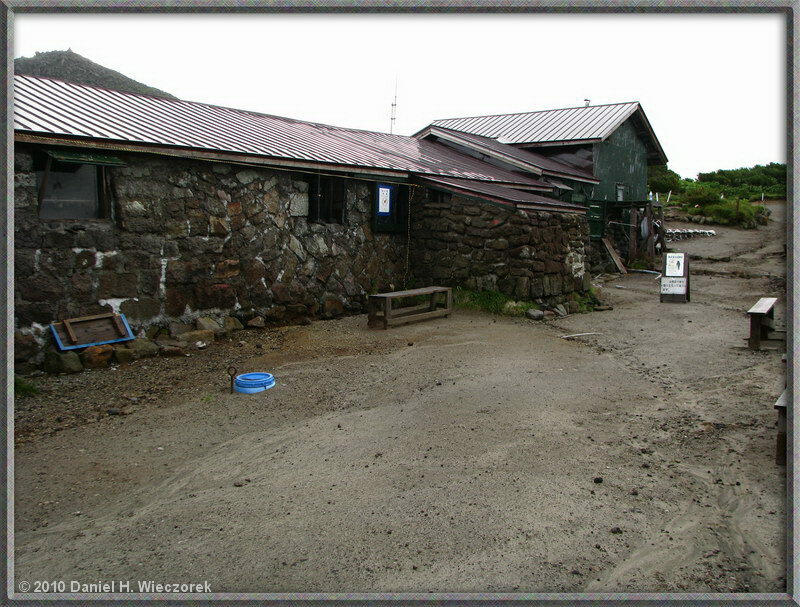 Kuro (Kurodake) Hut. 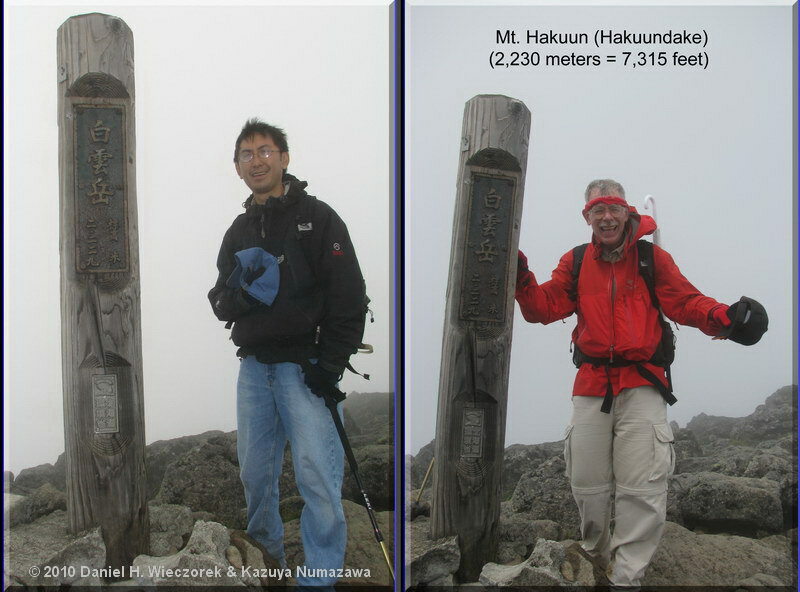 Third Photo - Daniel & Kazuya at the Summit of Mt. Hokkai (Hokkaidake). 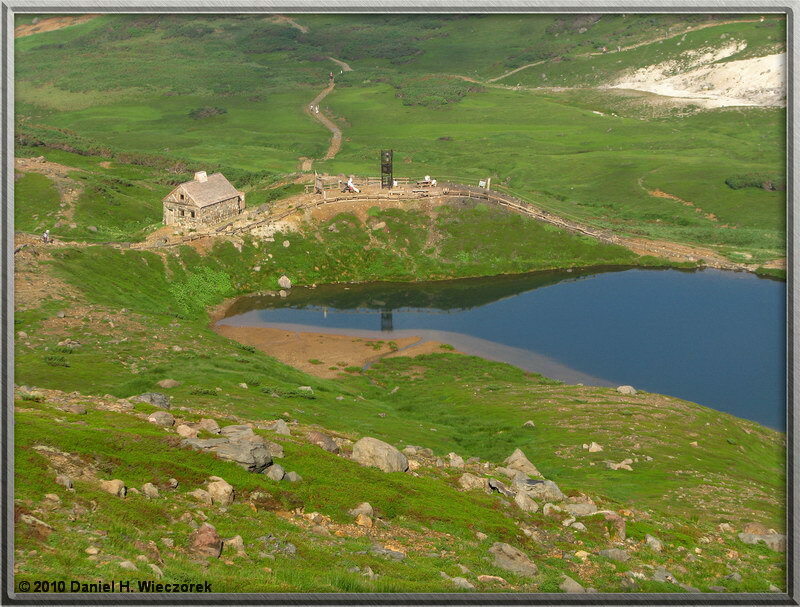 Page 18 of Christmas Letter - Daisetsuzan National Park, Hokkaido. 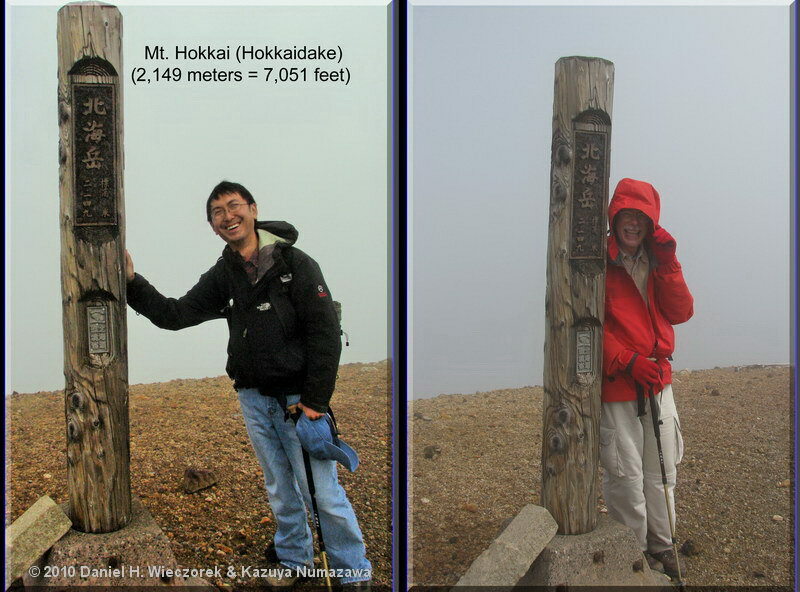 First Photo - Daniel & Kazuya at the Summit of Mt. 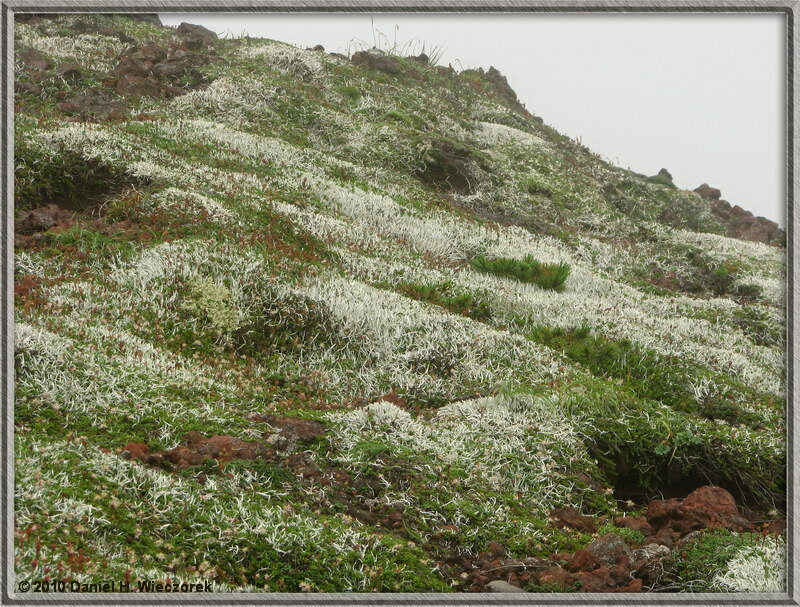 Hakuun (Hakuundake). 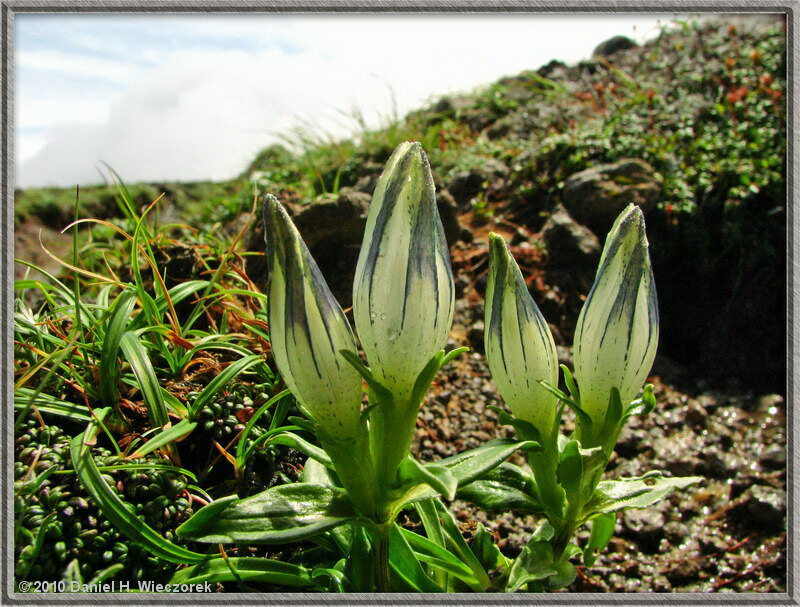 Second Photo - Gentiana algida f. igarasii. 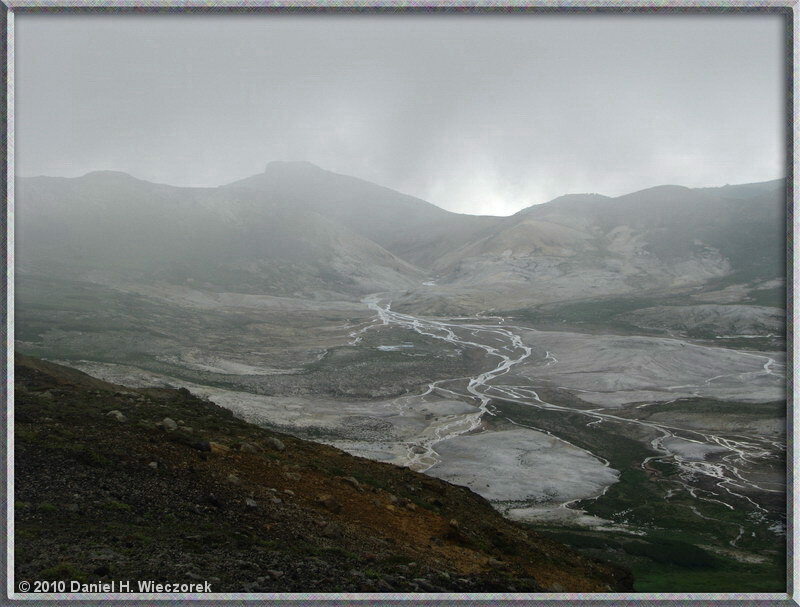 Third Photo - a steaming snowfield. 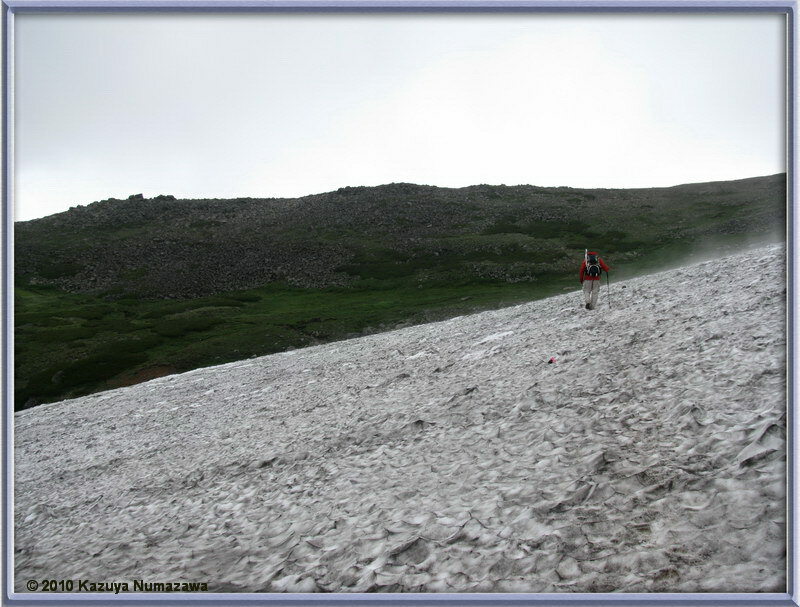 First Photo - Daniel crossing a snowfield. 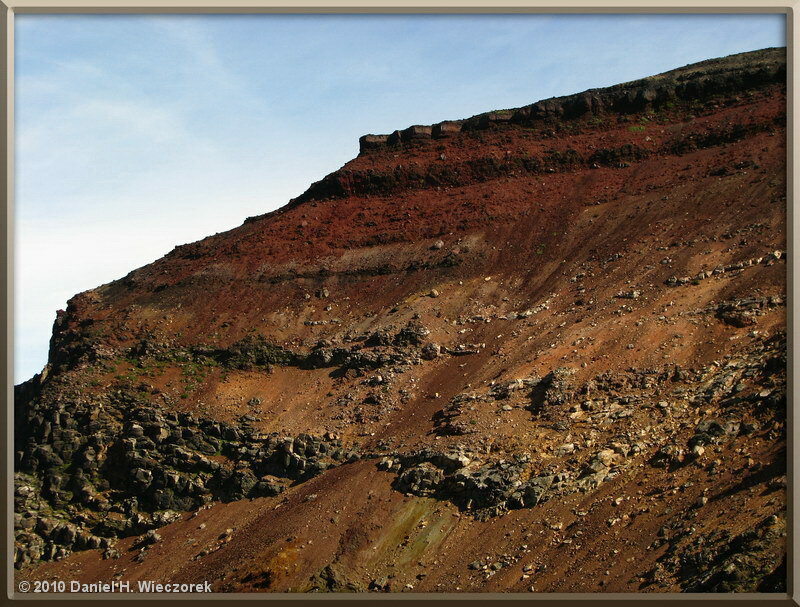 Second Photo - a weird depression on the side of a mountain. 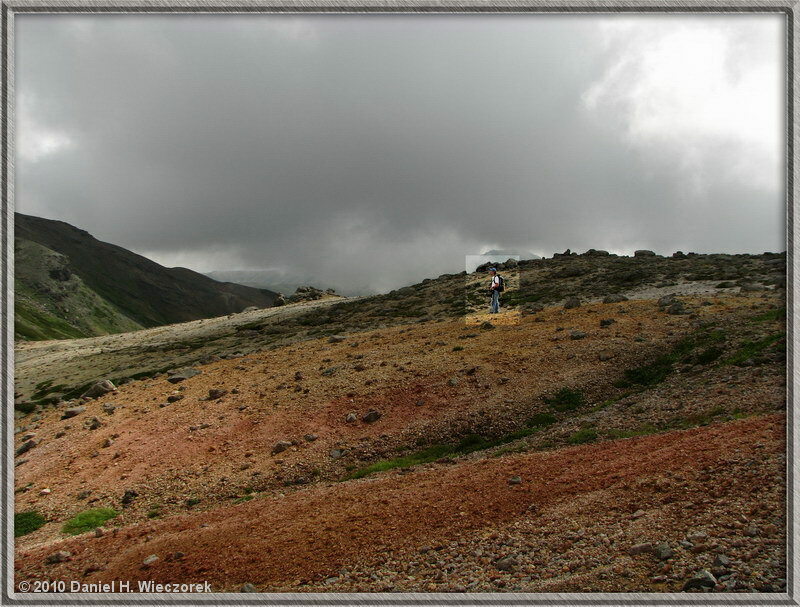 Third Photo - a beautiful area we passed on the way to our next peak – Mt. Hokuchin (Hokuchindake). 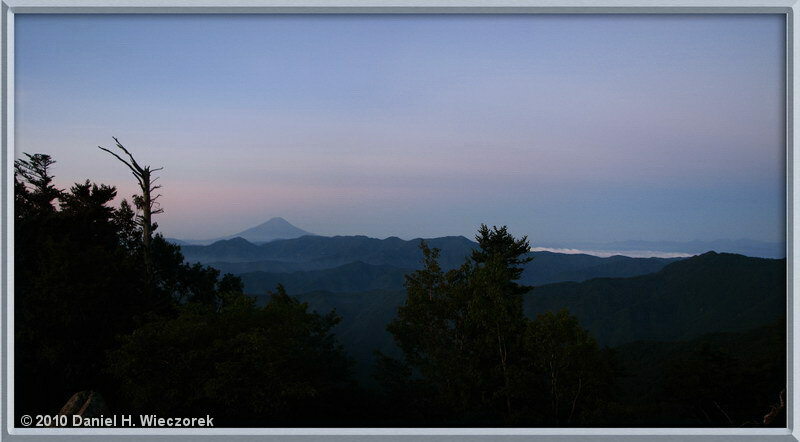 Page 19 of Christmas Letter - Daisetsuzan National Park, Hokkaido. 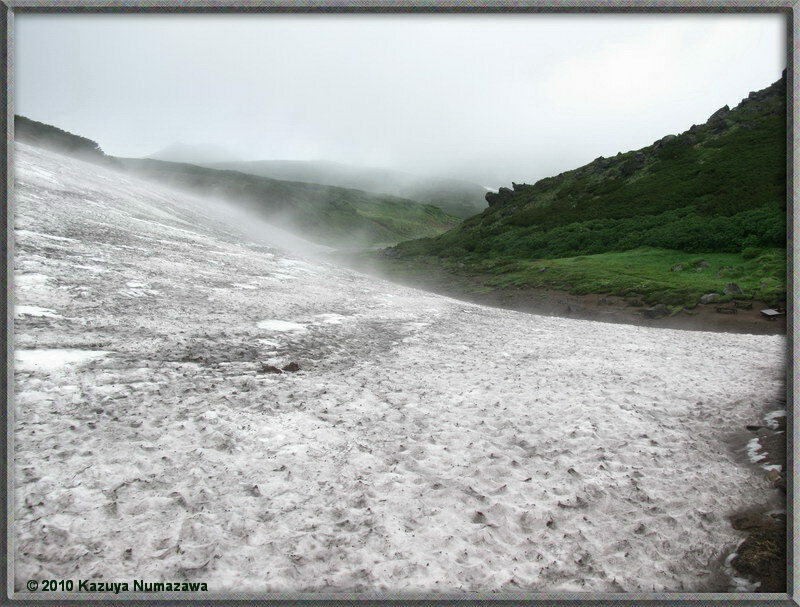 First Photo - crossing a semi-dangerous snowfield. 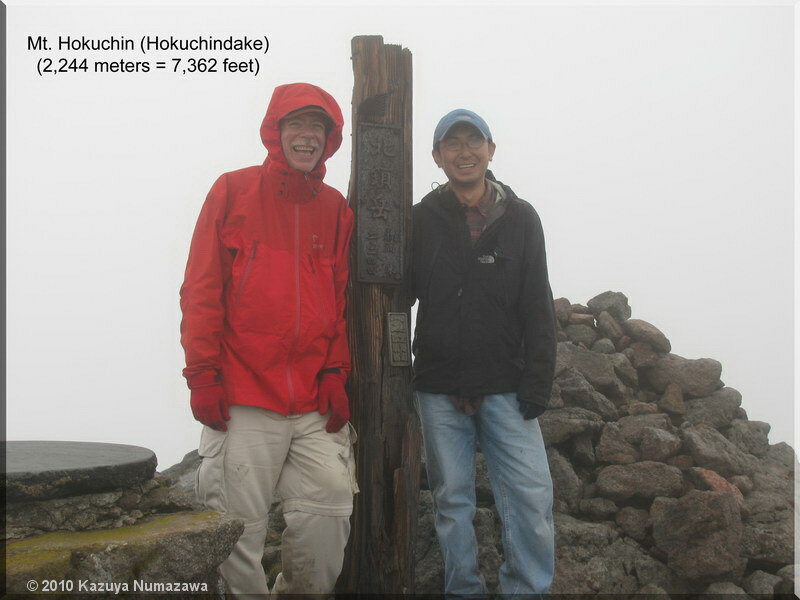 Second Photo - Daniel & Kazuya at the summit of Mt. Hokuchin (Hokuchindake). 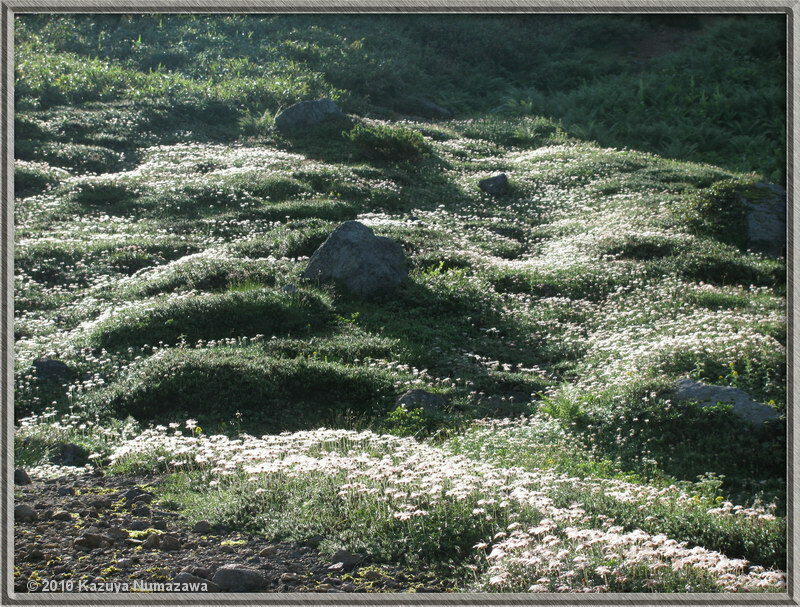 Third Photo - Reindeer Moss on a mountainside. 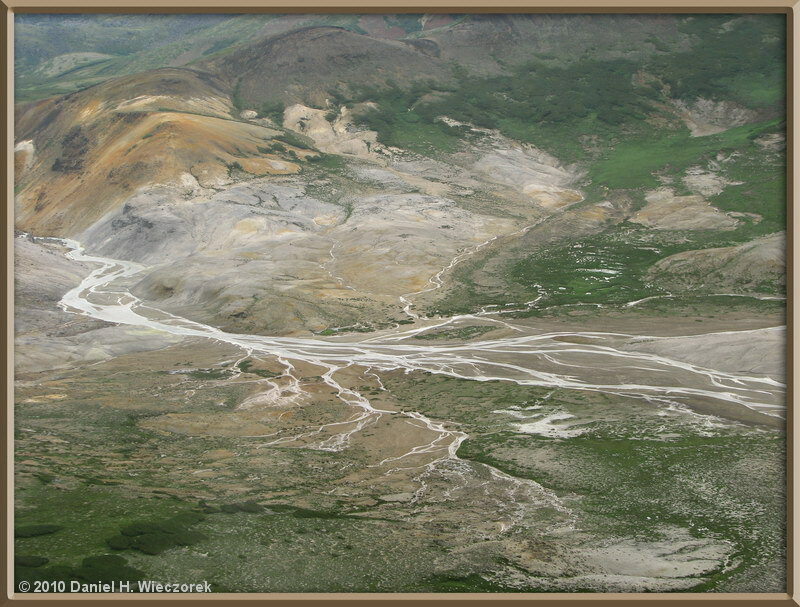 First Photo - looking down into "Poison Hot Spring Valley". Second Photo - Geum pentapetalum (white) & Phyllodoce caerulea (pink). 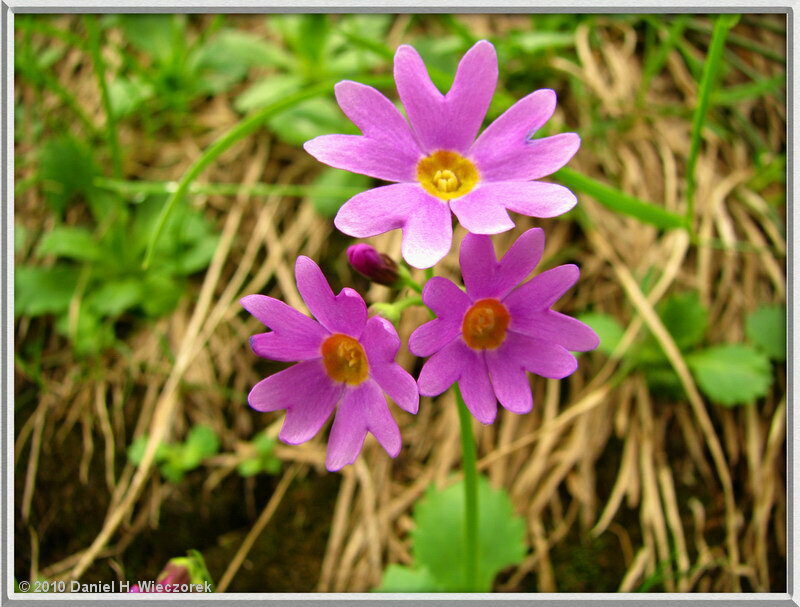 Third Photo - Primrose (Primula cuneifolia). 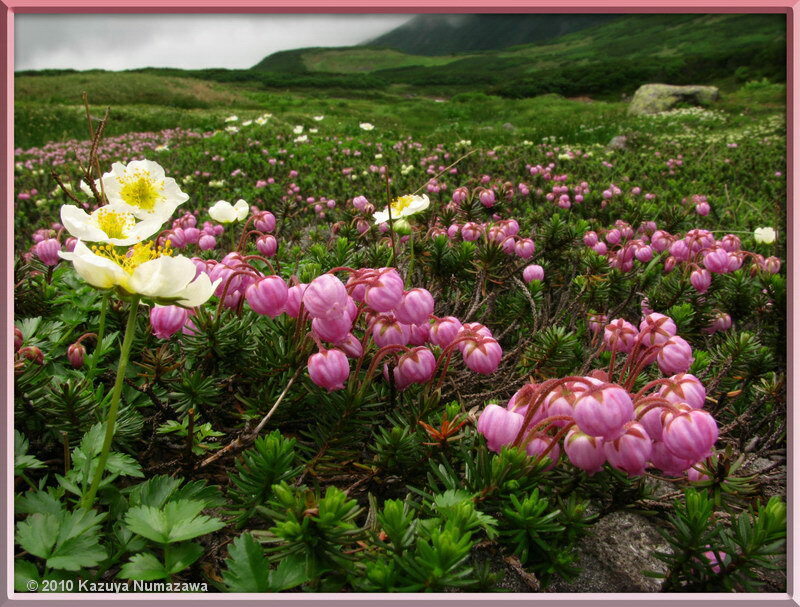 Page 20 of Christmas Letter - Daisetsuzan National Park, Hokkaido. 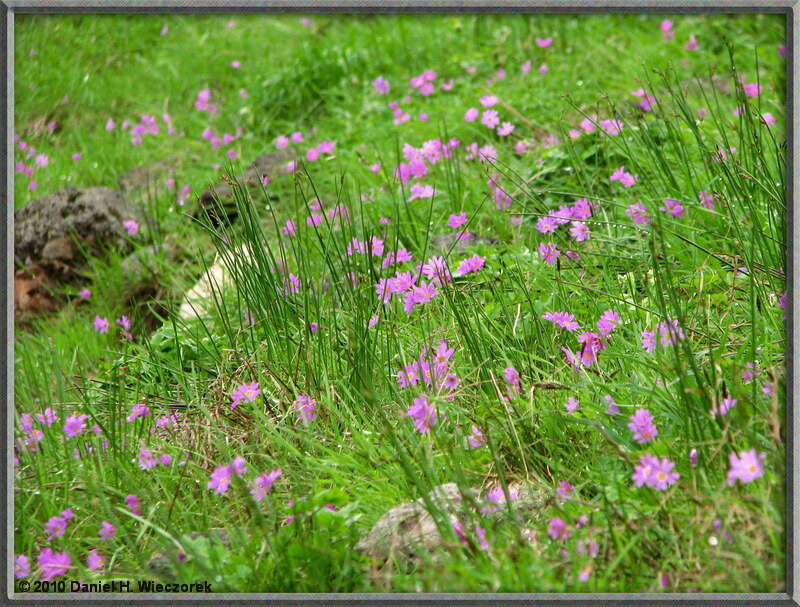 First Photo - Primrose (Primula cuneifolia) in abundance. Second Photo - Geum pentapetalum in abundance. Third Photo - Sugatami Pond Reflection. 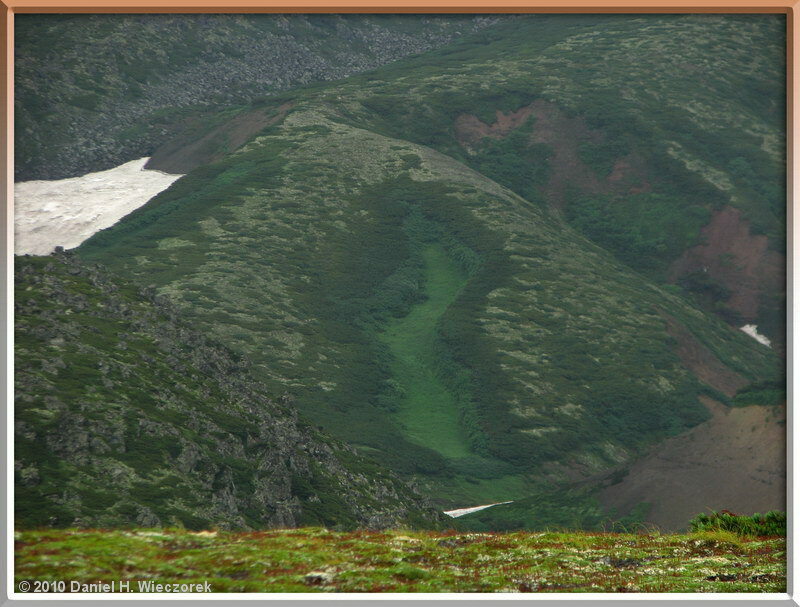 Pages 20 and 21 of Christmas Letter - Daisetsuzan National Park, Hokkaido. First Photo - Sugatami Pond & Emergency Hut. 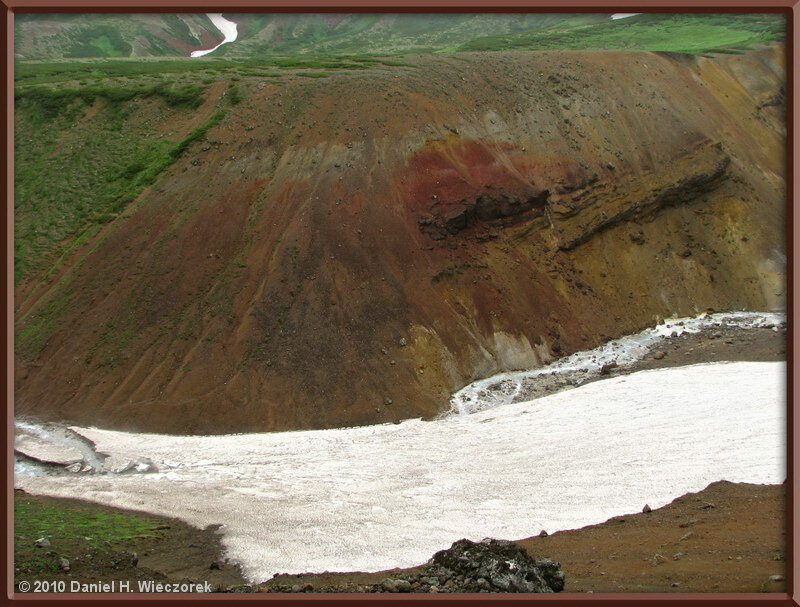 Second Photo - interesting colors on the climb of Mt. Asahi (Asahidake). 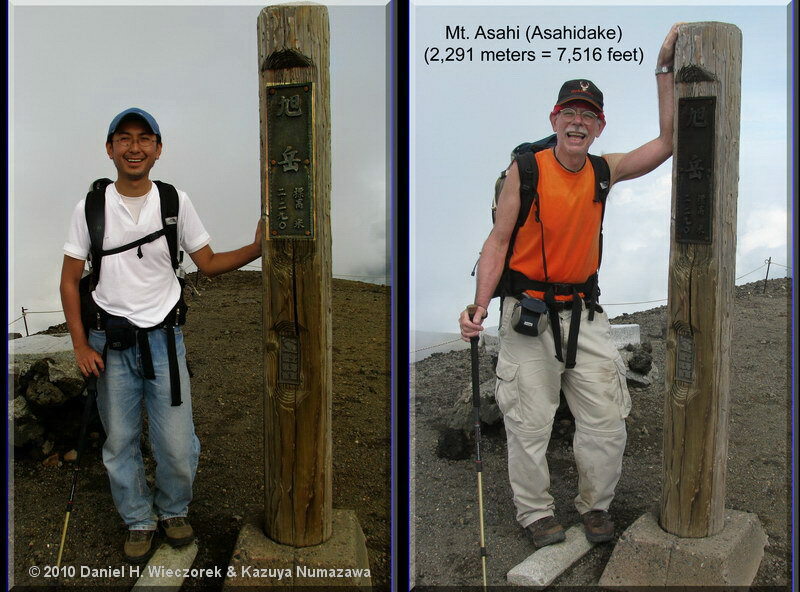 Third Photo - Daniel & Kazuya at the Summit of Mt. Asahi (Asahidake). 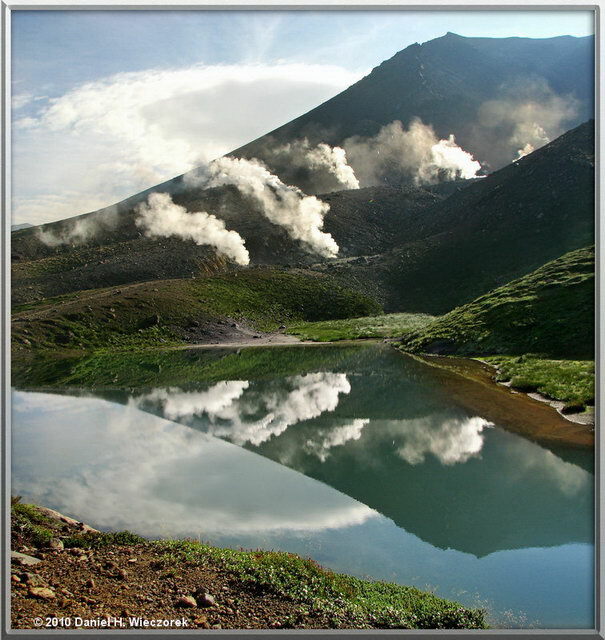 Page 21 of Christmas Letter - Daisetsuzan National Park, Hokkaido. 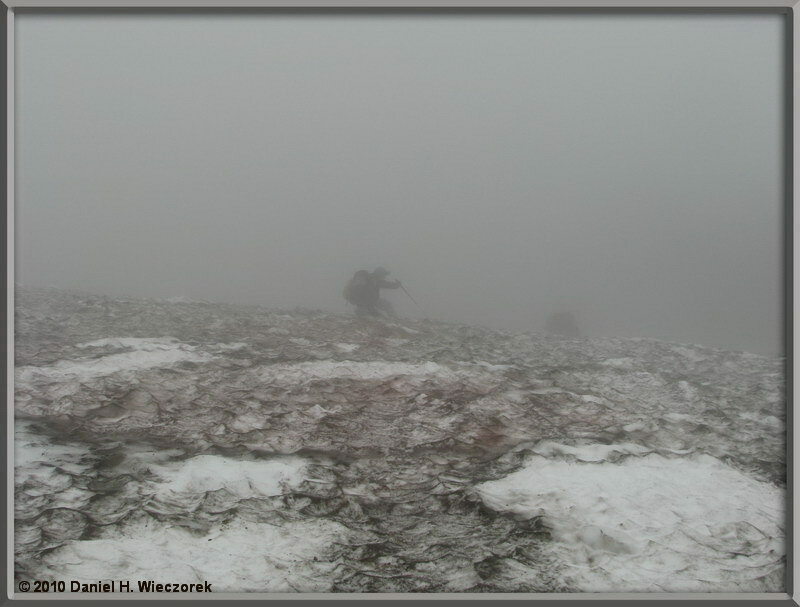 First Photo - after the summit of Mt. 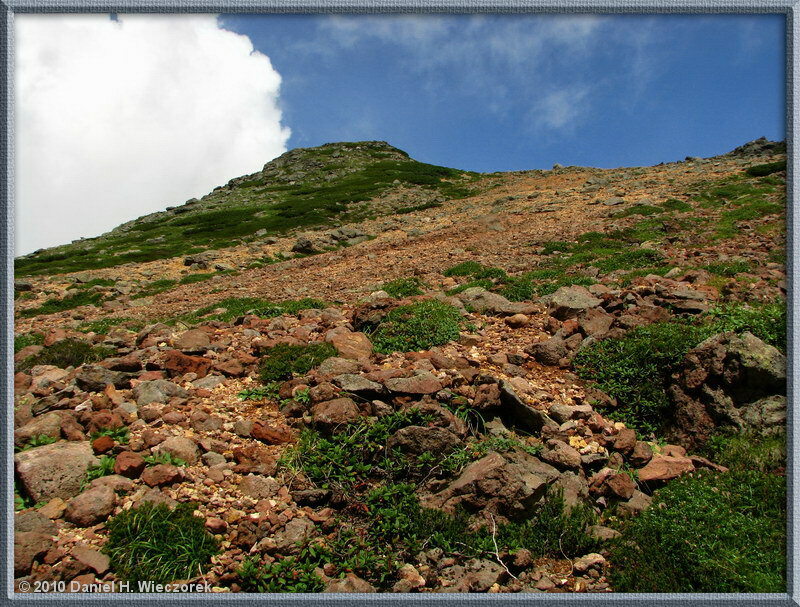 Asahi (Asahidake) - a nice blue sky. Second Photo - near Mt. Kuma (Kumagadake). 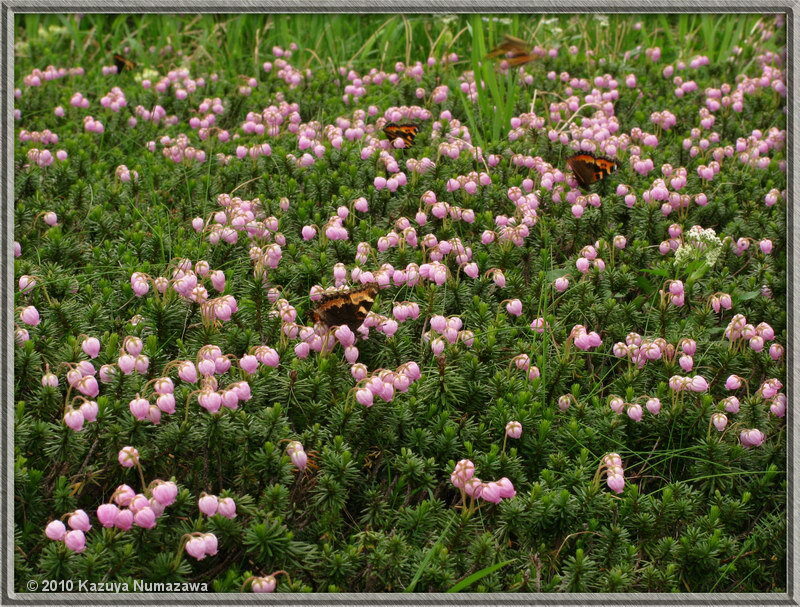 Second Photo - at least 5 Butterflies on the Phyllodoce caerulea. Page 22 of Christmas Letter - Mt. Kumotori. First Photo - climbing Mt. 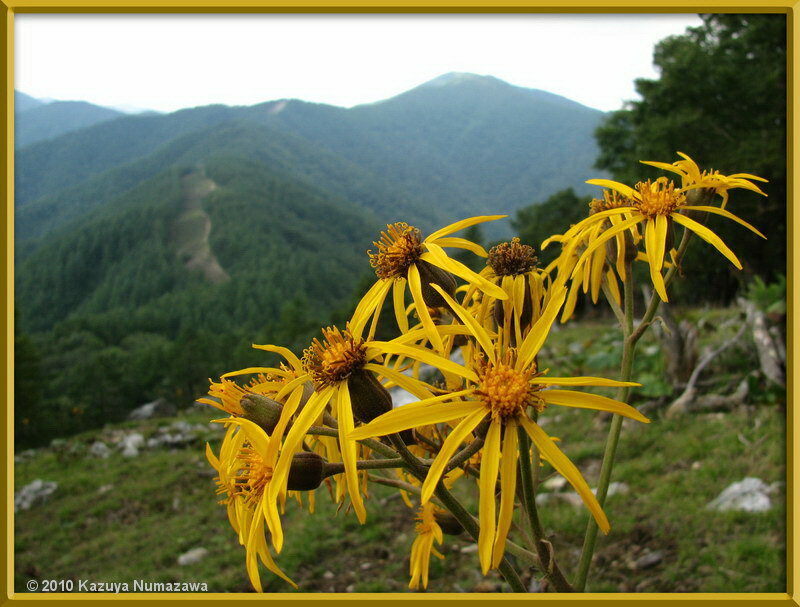 Kumotori - Ligularia dentata (Marubadakebuki in Japanese). Second Photo - the Mt. Kumotori Summit Hut. 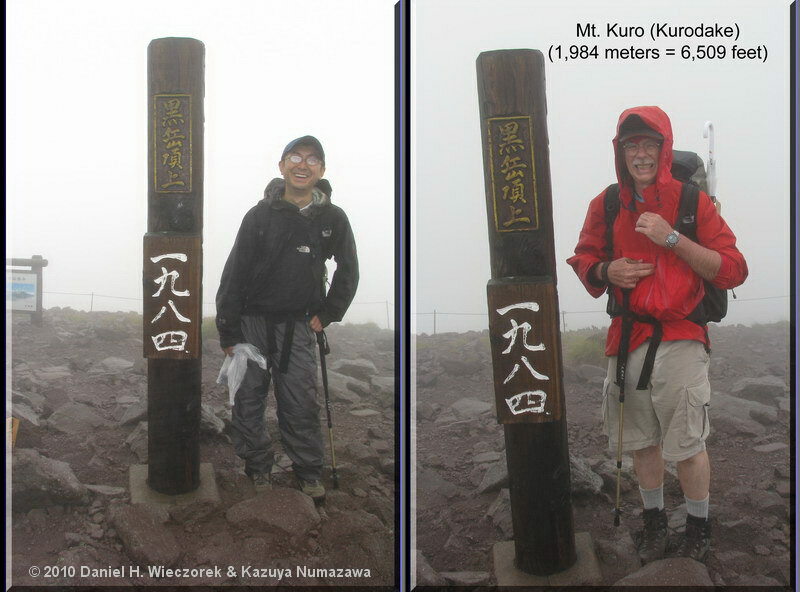 Third Photo - Daniel & Kazuya at the summit of Mt. Kumotori. Pages 22 and 23 of Christmas Letter - Mt. Kumotori. 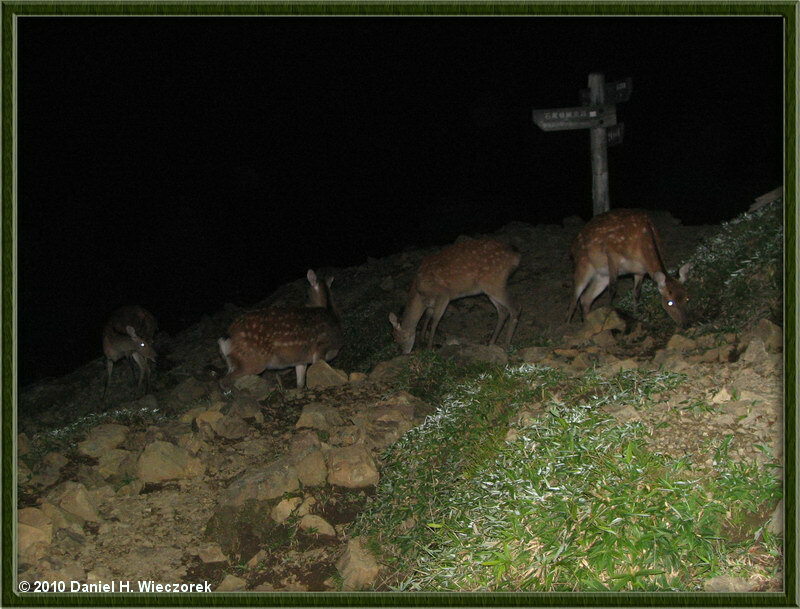 First Photo - Deer at Night at the Mt. 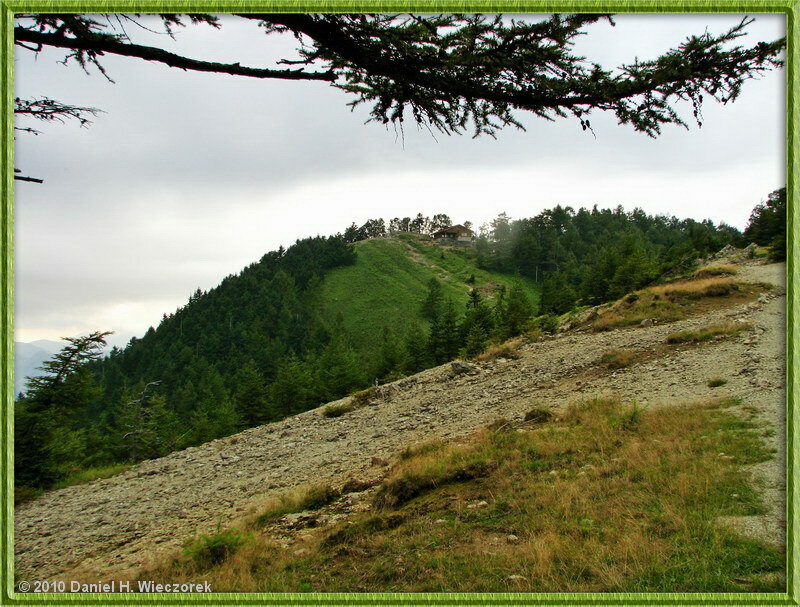 Kumotori Summit. Second Photo - a Mt. 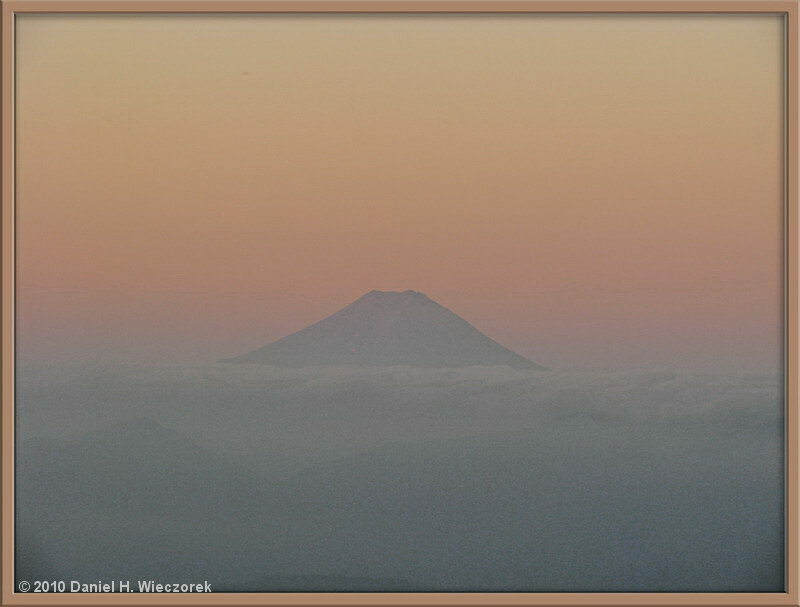 Fuji Panorama. Third Photo - Mt. Fuji. Page 23 of Christmas Letter. 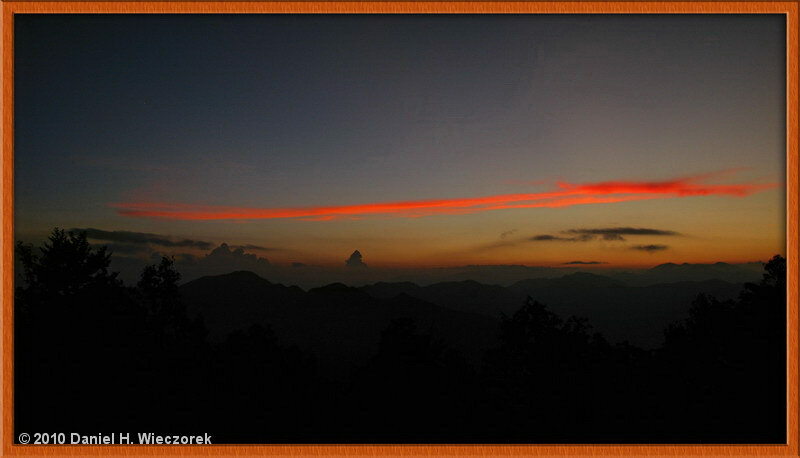 First Photo - a nice sunset cloud from Mt. Kumotori. Second Photo - Mt. Fuji - Mt. Kumotori sunrise. 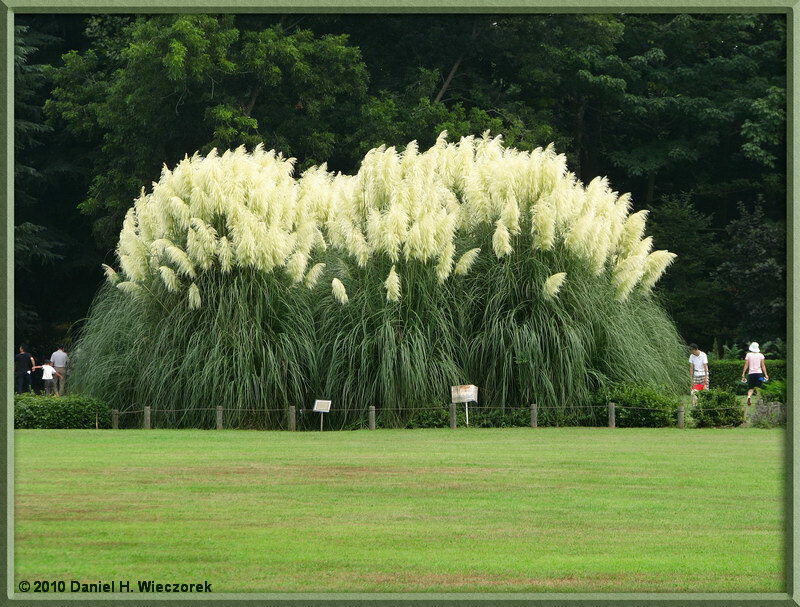 Third Photo - Jindai Botanical Garden - Cortaderia selloana (Pampas Grass). Pages 23 and 24 of Christmas Letter. 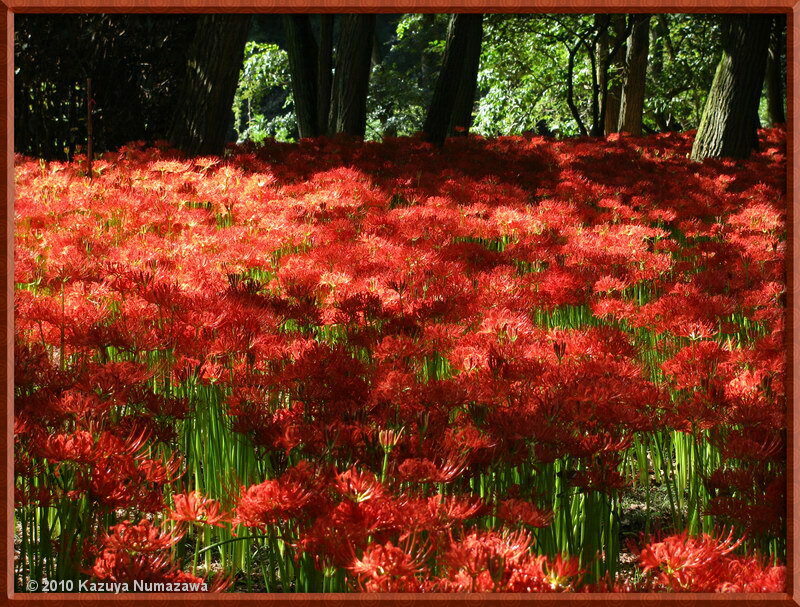 Nogawa Park - Lycoris radiata - Cluster Amaryllis. 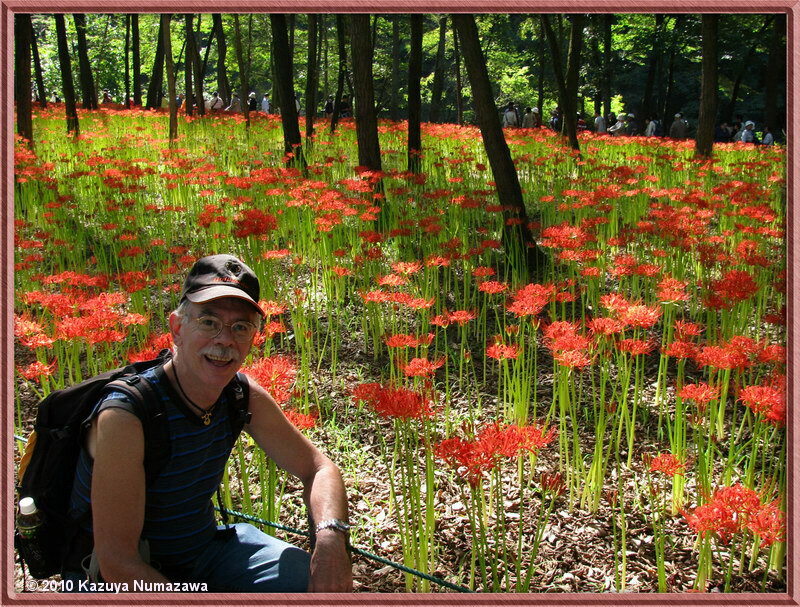 Second Photo - same at Kinchakuda. Third Photo - Daniel at Kinchakuda. Page 24 of Christmas Letter. 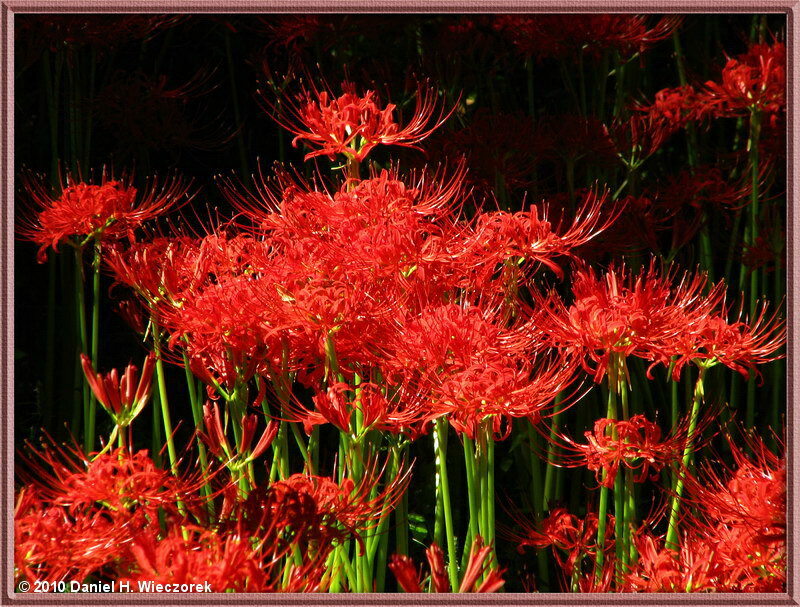 First Photo - Lycoris radiata (Cluster Amaryllis) at Kinchakuda. 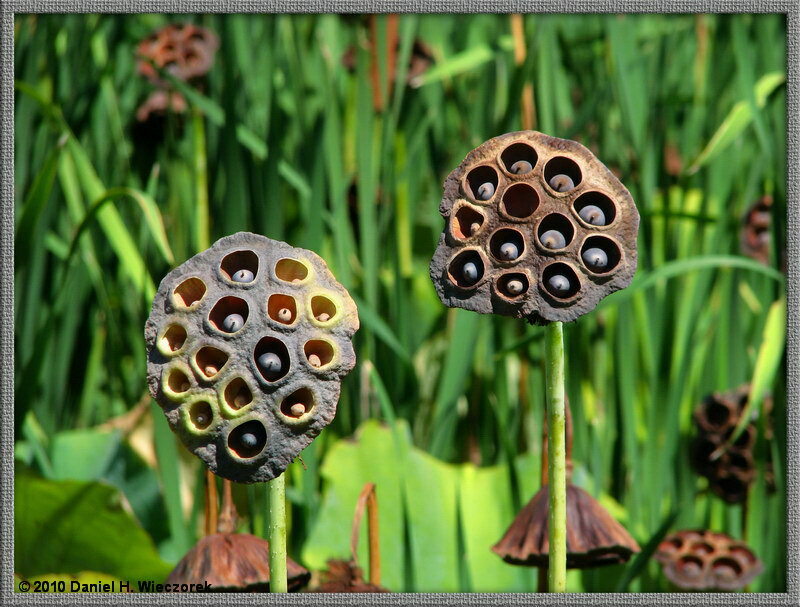 Second Photo - Lotus Seedhead at Kinchakuda. Pages 24 and 25 of Christmas Letter. 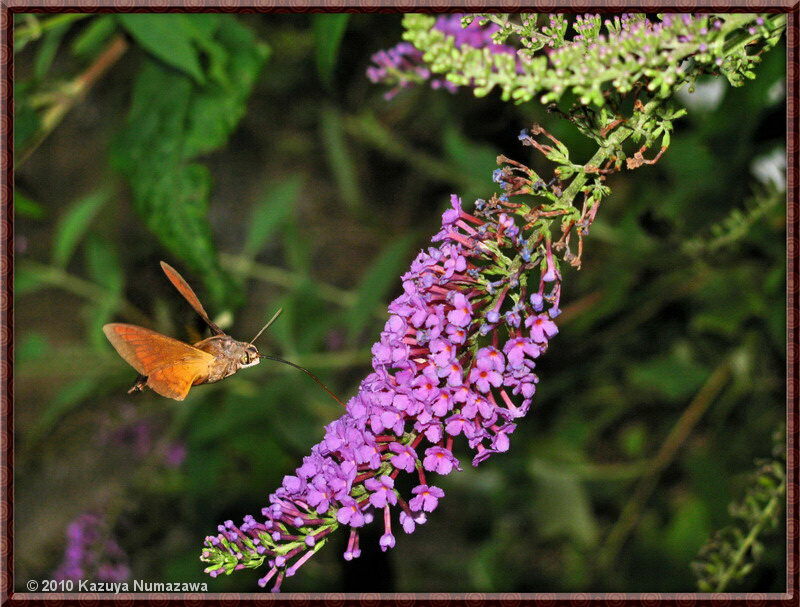 First Photo - Jindai Botanical Garden - Hummingbird Hawk Moth. 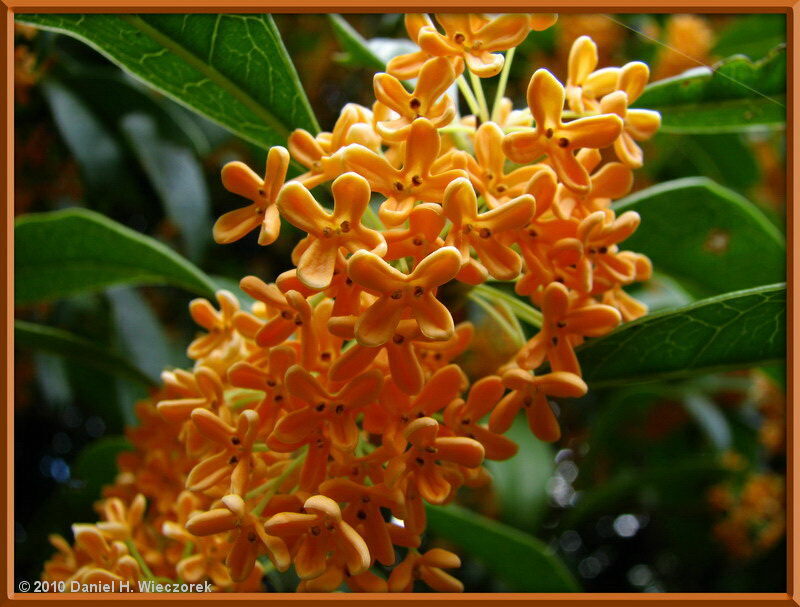 Second Photo - Showa Kinen Park - Osmanthus fragrans var. aurantiacus. 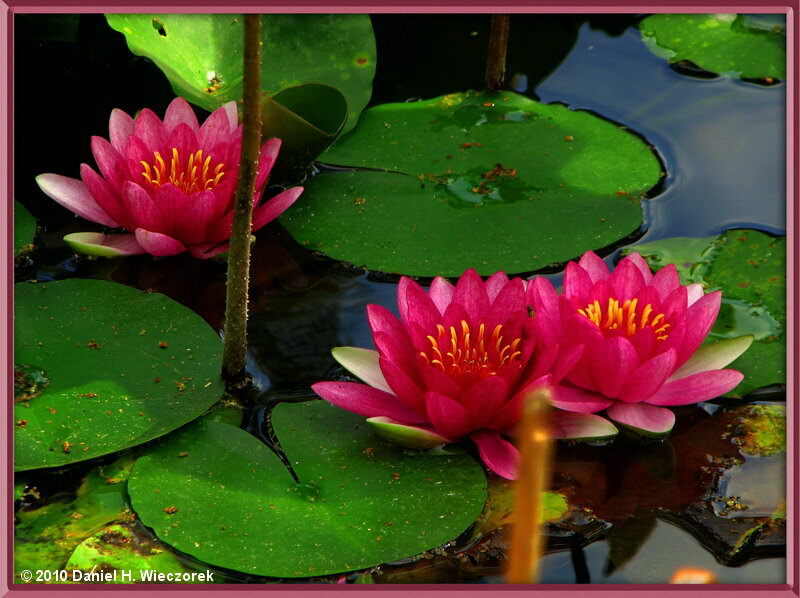 Third Photo - Showa Kinen Park - a Pink Water Lily. Page 25 of Christmas Letter. 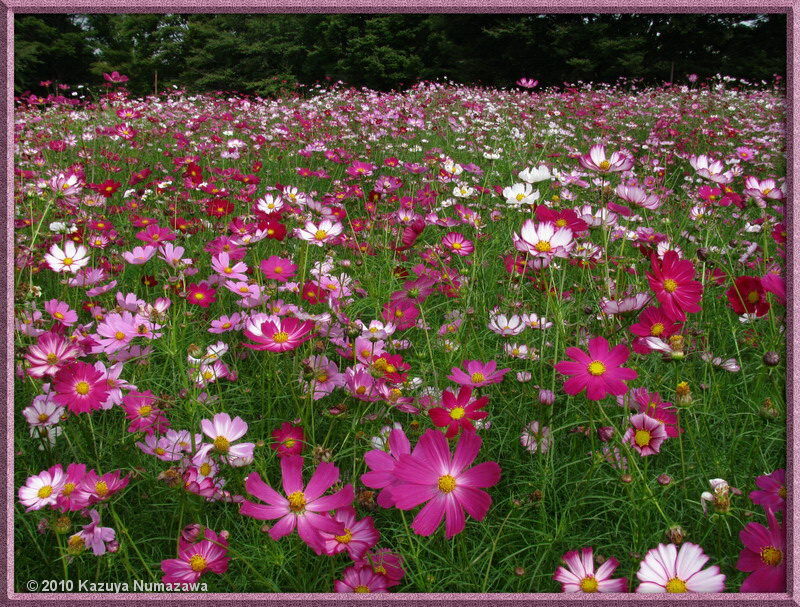 First Photo - Showa Kinen Park - Cosmos bipinnatus cv. akatsuki. 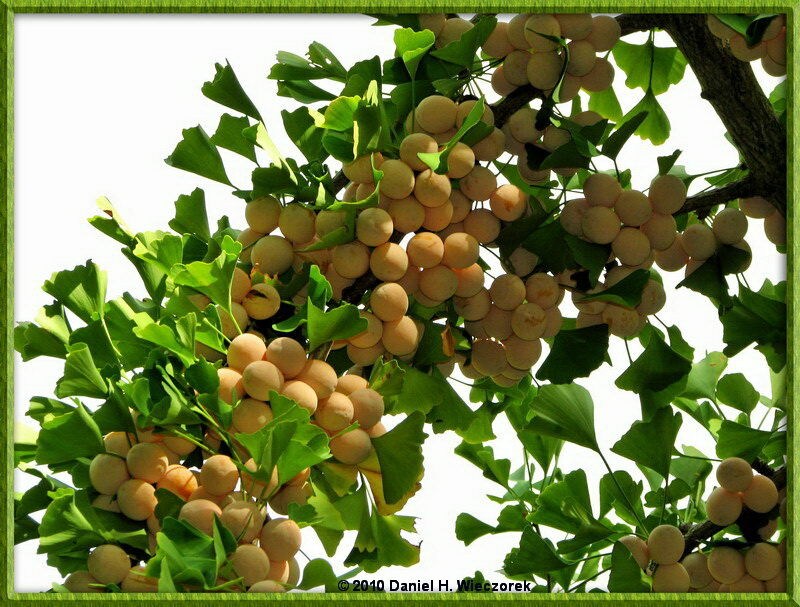 Second Photo - Showa Kinen Park - Ginkgo Fruits (Ginkgo biloba). Third Photo - Mt. 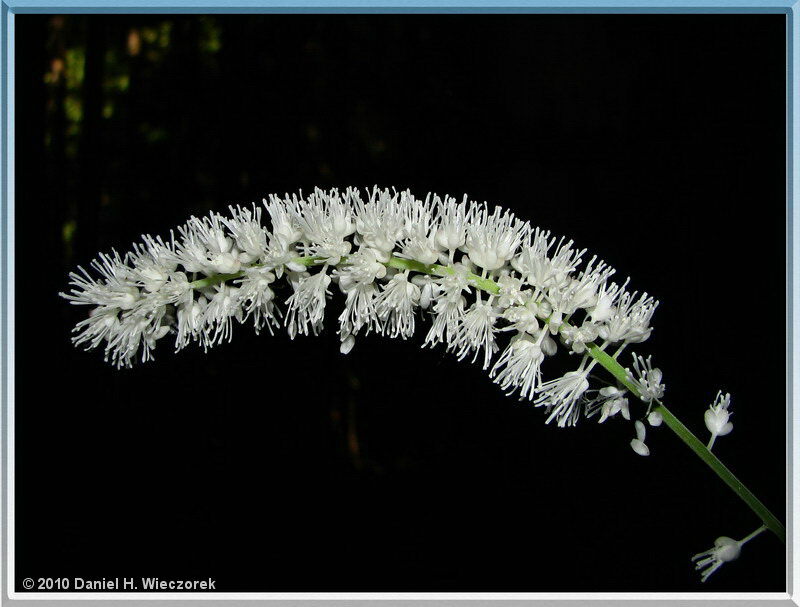 Takao - Bottle-brush flower (Cimicifuga simplex). Pages 25 and 26 of Christmas Letter. 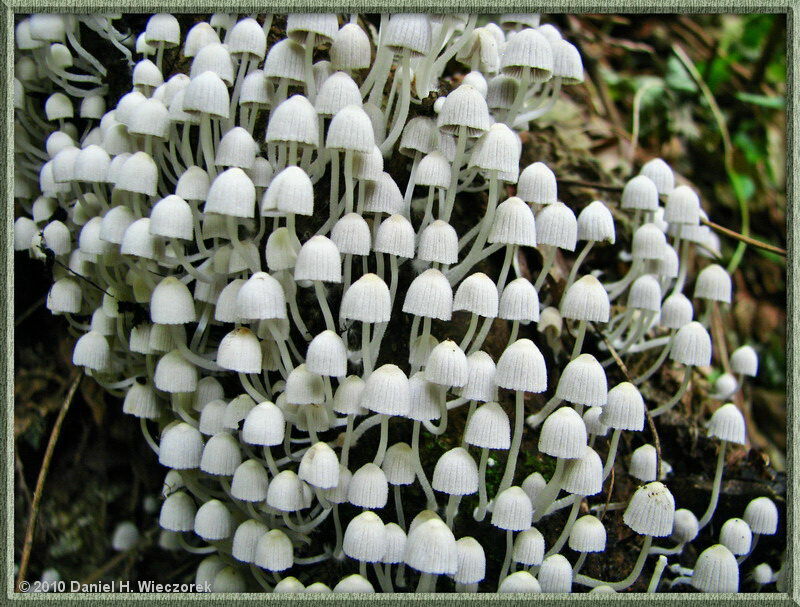 First Photo - Hikage Creek - a Tiny Mushroom. 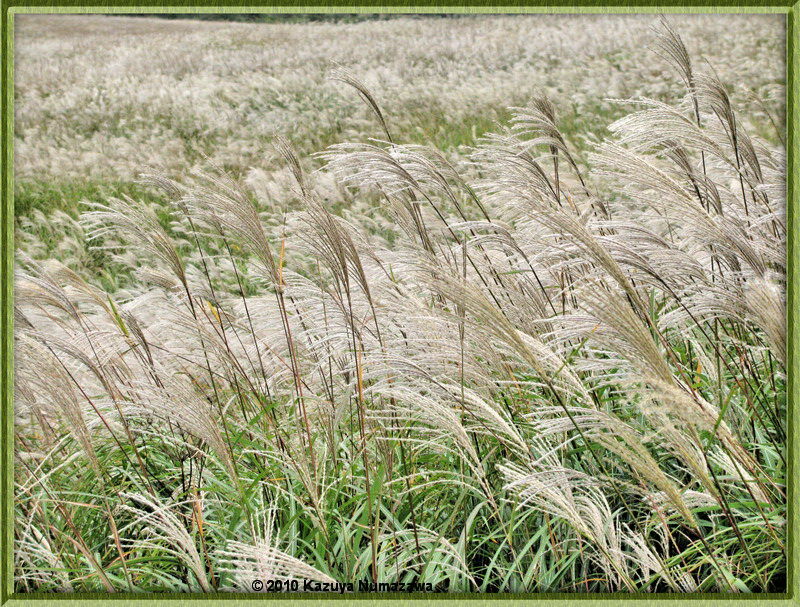 Second and Third Photos - Sengoku-Kogen - Susuki Grass (Miscanthus sinensis). Page 26 of Christmas Letter. 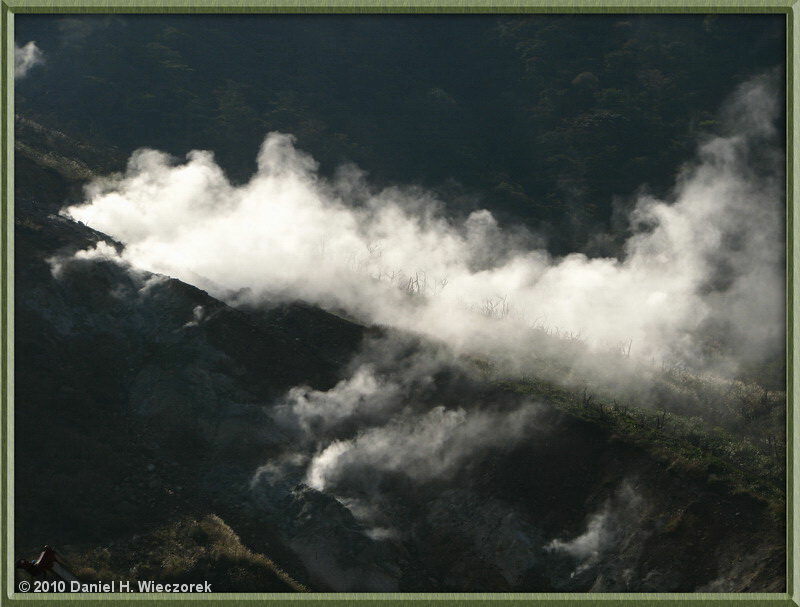 First Photo - Owakudani - Steam Fumaroles. 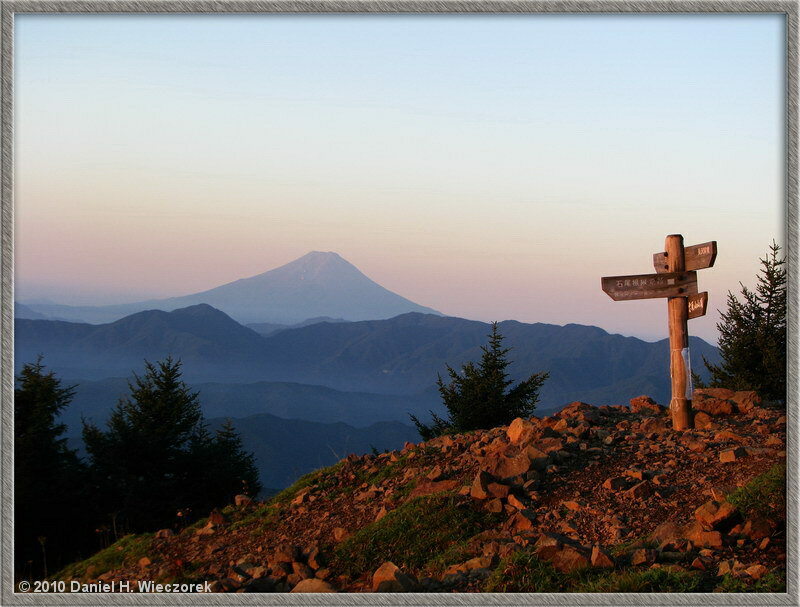 Second Photo - Owakudani - Mt. 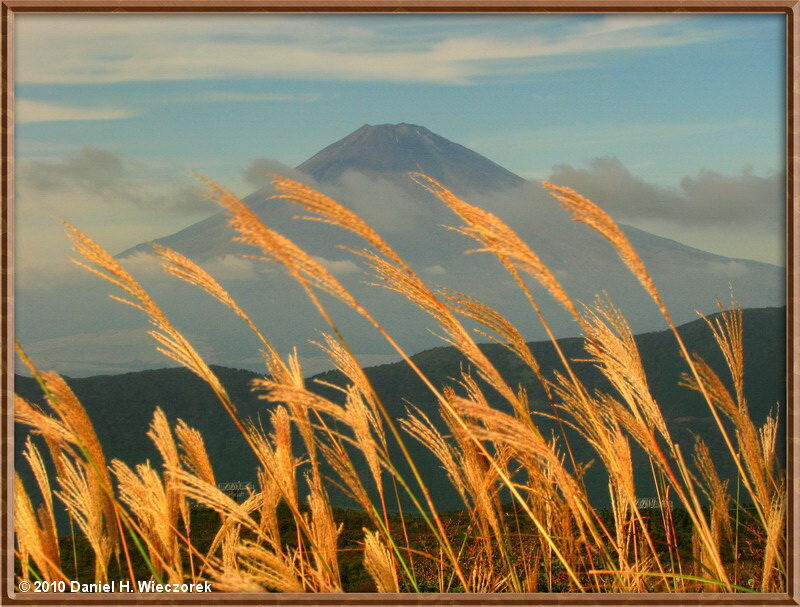 Fuji and Susuki Grass (Miscanthus sinensis).